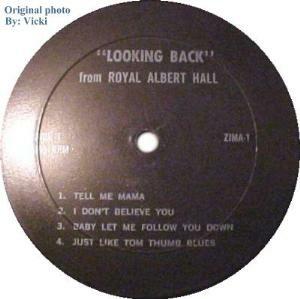 This is a confusing LP as it was released in so many variations. The following information is based on info from great white answers, and all reference numbers are those that were assigned by Dominique Roques. They are basically in chronological order of release. 28A Released in England in 1972 on the 'Mood Music Library' Label This is the same LP, but with the sides arranged in different order. Cover was blank. label is shown at left. 28B Released in U.S.A. in 1975 by unknown Label. Same quality as original. Same format as 28A. 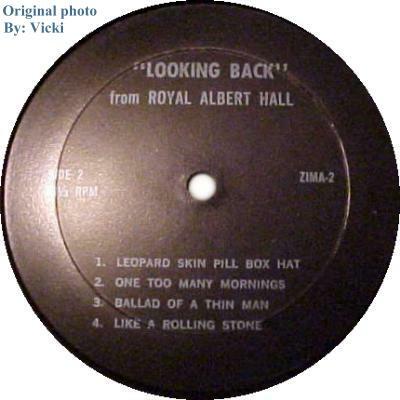 label side A was blank. Sides B,C,& D had a large 2, 3, & 4 on each respective label. Cover was blank. A yellow insert was a small xerox of the 27Ab cover. 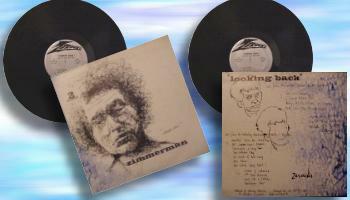 29A In '70 or '71 Zimmerman records released a single LP of record 1 (The Royal Albert Hall show) of 28A. The cover was blank. A color printed insert was a reverse image of the original drawing with song titles added. labels were dark red with songs listed. 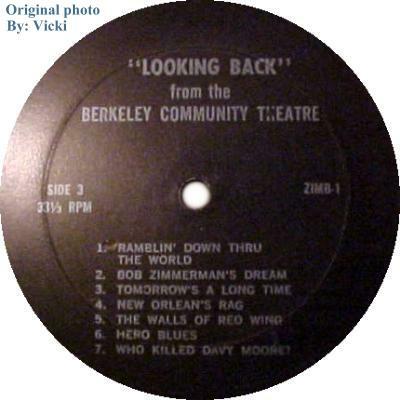 29B In '70 or '71 Berkley records released a copy of the 29A LP. They used the same insert on a gatefold cover. The quality, however, was inferior; with many bad presses. Blank labels. 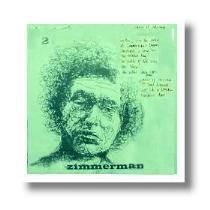 30A In '70 or '71 Zimmerman records released a single LP of record 2 (The '63 & '66 shows) of 28A. The cover was blank. 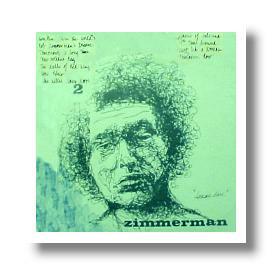 A color printed insert was an image of the original drawing with song titles added. 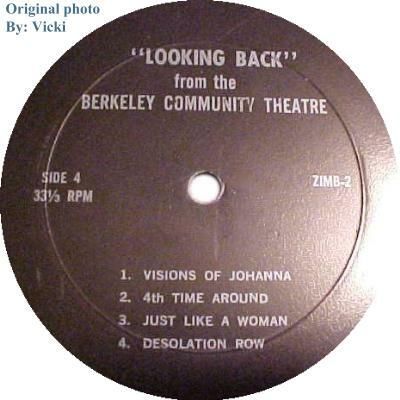 30B In '70 or '71 Berkley records released a copy of the 30A LP. They used a mirror image insert on a gatefold cover. Blank labels.